Abacus Training has become a very popular way of learning abacus. Abacus is such a great activity for kids age group of 5-12 years and the demand for studying Abacus is effectively increasing every day. Unlike earlier, the awareness of Abacus activity among educators and educational institutions is rapidly increasing and they are promoting it very aggressively. Its benefits have really amazed parents and to be an Abacus Trainer has become a very reputed profession. Choosing a right institution for learning Abacus is really not an easy thing as there are numerous companies that impart online Abacus Training. We at IIVA, ensure the quality of Abacus Training and has successfully trained more than a thousand candidates within a few years. IIVA has produced the best Abacus Trainers with the help of its advanced curriculum and latest methodologies. It is a level based course and a certificate will also be given after the successful completion of all the levels. Any candidate from any part of the world may enroll in the Online Abacus Training. In order to maintain the quality of training, we assign a dedicated trainer to each candidate. Love Maths: Eliminate the fear of maths once and for all. Make people fall in love with mathematics. Start Your Own Venture: With enough experience, you can start your own business around maths education. You can also apply for Abacus franchise plan. Continuous Education: You learn new Abacus methods and techniques to get better in your work. For a bright future: With Abacus, you can avail great career opportunities. Make a difference: By taking up this course you contribute towards a better future for your community and the upcoming generation. Parents, housewives, existing school teachers, etc – for upskilling. Students, candidates pursuing B.ED/NTT/JBT/etc – for better job opportunities. Professionals, working women, etc – for entrepreneurship/franchise opportunities. IIVA training is ideal for all, because we all know the importance of training kids to be the brightest students of whatever class they are studying. By undergoing this simple, easy and visual technique to train children to do mathematical calculations fast mentally, they become complete observers of what is happening around them. IIVA is the only organization accredited to QCI and affiliated with the Govt. of India, and hence the only body offering Govt. certified course on Abacus to become certified trainers. 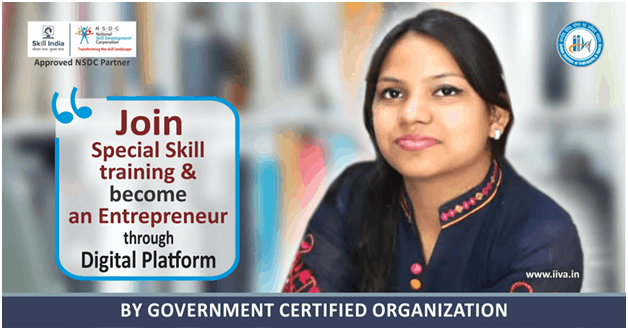 The purpose of this certification program is to examine the dexterity and proficiency of the existing teachers who are imparting the knowledge of the discipline without taking any franchise or technical training. This program will certify them for further promulgation of the subject with ideal standards. Interested? Well – please log on to http://www.iiva.in/contact-form/ to get more information.